Press release courtesy Southern California Edison follows. ROSEMEAD, Calif., July 24, 2013 — The San Onofre nuclear plant has completed the final regulatory step required to formally retire its operating license. Southern California Edison (SCE), majority owner of the nuclear plant, sent a letter to the Nuclear Regulatory Commission (NRC) on Tuesday certifying that fuel has been removed from the Unit 2 reactor. A similar letter for Unit 3 was submitted on June 28. 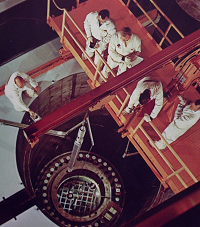 Once the NRC certifies the Unit 2 defueling, the nuclear plant will have a “possession” license rather than an operating license, and will no longer be authorized to place fuel in the reactor vessel. The defueling of Unit 2 was completed on July 18. The 217 fuel assemblies were moved to the spent fuel pool where they will be stored and cooled until transferred to dry cask storage. The transfer was executed entirely under water by specialized equipment, as captured in this video. SCE announced June 7 that it would retire San Onofre Units 2 and 3, and begin the process to decommission the facility. For more information about SCE, follow us on Twitter and on Facebook. Southern California Edison has constructed a new section on its SONGS website covering the topic of decommissioning the plant. Click here to view it. 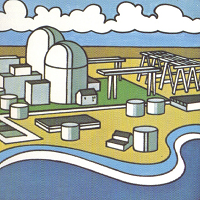 Click here to see the NRC website's information on decommissioning of nuclear facilities. Tokyo Electric Power Company has reported the cessation of the "steam like emission" from the upper level at Fukushima Daiichi Unit 3. The utility also reports no deviation from established norms in terms of airborne contamination. Click here to see the press release announcing stoppage of the vapor emission. Click here to see the report showing no deviation in measured contamination / radiation levels. Click here for the appropriate Press Handout covering the situation in entirety. Click here for a very detailed report covering radionuclide sampling performed as a response. Yesterday I reported that TEPCO officials had remarked to various Japanese press outlets that it was their suspicion that rainwater had contacted the head of the primary containment vessel, and the resultant vapor rising through the structure was what the contractor had videotaped. That suspicion has now been put officially into print in the latest overall Fukushima Daiichi daily plant status update. See the underlined portion of the report. All this said, it would not be surprising at all for such an event to happen again while the 1F3 reactor building is still exposed to the elements - thus perhaps auguring future occurrences of similar nature. TEPCO cannot however ignore any such future events (it must analyze any suspect emission) and I'd expect their response in future to mirror that we've seen over the last couple of days. Press release received 9:15 AM 7/18 from Southern California Edison. ROSEMEAD, Calif., July 18, 2013 — Southern California Edison (SCE) has served a formal Notice of Dispute on Mitsubishi Heavy Industries, Ltd., and Mitsubishi Nuclear Energy Systems (together, “Mitsubishi”) which seeks to hold Mitsubishi accountable for designing and manufacturing defective Replacement Steam Generators (RSGs) at the San Onofre Nuclear Generating Station (SONGS). “Our action is about making sure that Mitsubishi takes responsibility for providing the defective steam generators that led to the closing of SONGS,” said Ron Litzinger, president of SCE. Although Mitsubishi warranted the generators would operate reliably for 20 years, SCE was required to take SONGS offline in January 2012 when one of the Mitsubishi RSGs experienced a radioactive coolant leak after less than a year of operation. Although its contract with SCE required Mitsubishi to repair the RSGs “with due diligence and dispatch,” SCE’s Notice of Dispute alleges that Mitsubishi failed to do so. Facing continued uncertainty about restoring SONGS to service at any level of power, SCE permanently retired the plant as of June 2013. SCE alleges that Mitsubishi, as designer and manufacturer of the faulty RSGs, is responsible for the enormous harm its failures have caused to California ratepayers, SCE, and the other SONGS owners. When SCE contracted with Mitsubishi to replace the SONGS steam generators, it did so to extend the life of SONGS so that the plant could continue to provide safe, reliable and affordable power to over 1.4 million homes in Southern California. However, SCE’s Notice of Dispute claims that Mitsubishi seriously breached the Contract, totally and fundamentally failing to deliver what it promised. SCE alleges that Mitsubishi grossly failed to appropriately model the thermal hydraulic conditions in the RSGs, including the relative wetness of the steam/water mix in the RSGs (“void fraction”) and the speed of the steam/water flow within the RSGs (“fluid velocity”). In addition, Mitsubishi is alleged to have failed to design tube support structures capable of withstanding the extreme thermal hydraulic conditions within the RSGs. As a result, the RSGs experienced damaging flow-induced vibration that caused several types of excessive tube wear. 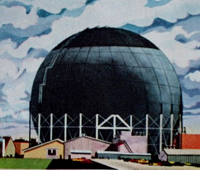 The tube-to-tube wear was so advanced in one of the four identically-designed RSGs that it caused a radioactive coolant leak, which SCE was able to address by promptly and safely shutting the plant down. The Notice of Dispute claims that for over 16 months, SCE has asked Mitsubishi to make things right, but Mitsubishi failed to live up to its contractual obligations. SCE invoiced Mitsubishi for the money SCE was forced to spend investigating and attempting to repair the RSGs, but SCE claims that Mitsubishi has refused to even acknowledge responsibility for any of these costs, even after receiving thousands of pages of documents in support. SCE further claims that Mitsubishi additionally refused to submit to a contractually mandated audit of the documents regarding its work on the RSGs, hindering a transparent look into what went wrong with Mitsubishi’s steam generators, and why. Mitsubishi provided only “conceptual” proposals--for example, one proposal would have required workers to perform first-of-a-kind repairs in radioactive, confined areas as narrow as18 inches, with specialty tools that did not yet exist. Ultimately, with no reliable timeline for generating power at SONGS, SCE determined that the prudent course of action was to end the uncertainty for its ratepayers and the company and permanently retire SONGS as of June 2013. Such an early retirement is exactly what the Steam Generator Replacement Project was designed to avoid. SCE’s notice, issued today, formally initiates a 90-day dispute resolution process under the Contract. If that process is unsuccessful, then SCE intends to initiate binding arbitration against Mitsubishi, as the designer and manufacturer of the faulty RSGs, to recover damages Mitsubishi has caused. In the Notice of Dispute, SCE argues that limitations on Mitsubishi’s liability set forth in the Contract do not apply because of contractual exceptions and because of provisions of California law. Mitsubishi, like the manufacturer of a “lemon” automobile, was unable to fix the defects in its product because they were so fundamental and pervasive. In this circumstance, SCE claims that the limitations are not enforceable, and Mitsubishi is therefore responsible for the full measure of damages incurred by SCE, the other SONGS owners and their customers. A copy of the Notice of Dispute is available here: http://www.edison.com/files/NoticeOfDispute.pdf. SCE was required to redact certain portions of the Notice of Dispute that are based on information that Mitsubishi has deemed proprietary and confidential. If Mitsubishi agrees to disclose this information, SCE will release an unredacted copy of the Notice of Dispute. UPDATE -- Saturday, July, 20, 2013. Further actions have, as could have been expected, occurred relative to this story. San Diego Electric & Gas, also a part owner of the San Onofre Nuclear Generating Station, has announced its own lawsuit against Mitsubishi Heavy Industries. Read about this action here. Mitsubishi Heavy Industries has responded to the SCE action already; read about this here. 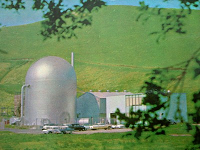 The announcement that San Onofre Nuclear Generating Station would be retired was made by Southern California Edison on June 7, 2013. Click here for the release. In March, some redacted documents were released by the NRC, and I produced my analysis of the findings in a very detailed post; click here to see that post. This post also contains eight essential links to background information on the whole SONGS steam generator issue, including the popular steam generator articles on Atomic Power Review. If this topical situation is new to you, you won't want to miss all of these links. During the daylight hours in Japan on July 18, a contractor working on the roof of Unit 3 at Tokyo Electric Power Company's devastated Fukushima Daiichi nuclear station spotted steam coming up from the debris on the roof of the building --- which is formerly the operating floor and in normal conditions would not be open to the atmosphere, having been daylighted by the hydrogen gas explosion which occurred during the accident progression. This event - the spotting and videotaping of the steam - has led to an overnight flurry of press reports on the situation, which are piggybacking on the recent announcements that contaminated water at relatively high activity levels is being found on the site grounds again, making for a cycle of worsening press for the struggling plant owner. Representatives of TEPCO have stated to the press that it is likely that heavy rainfall in the area has led to rainwater pooling, moving and coming into contact with the primary containment vessel --- which some news sources are confusing with the reactor vessel, which is contained inside of the primary containment vessel. The exact source is not known but TEPCO continues to investigate. TEPCO has been continuously measuring xenon gas level (to monitor recriticality) and there is no spike. Radiation levels on top of the reactor building are unchanged. Cooling water flow has not been altered. Temperatures at all points have not changed. In other words, there has been no sudden change in the status of the damaged reactor that would explain a sudden increase of gaseous emission. The logical conclusion then is that the steam is coming from somewhere else; water contact on the outside of the relatively hot PCV is as good a bet as any at this point. The press overnight has been sporadic on the topic, mainly having been printed in Asia, but English language sources are beginning to pick up the story and run with it; this is why I've chosen to make an update on the topic today -- to bolster APR readers against the flurry of guesswork likely to appear later on today should this story gain traction. Fuku-ichi Live Camera. This video camera has been moved several times since the accident and is now back on the Unit 4 side. Steam was not seen in this view, but close up by a contractor. Not playable on all platforms. As always, I continue to monitor the situation at Fukushima Daiichi, and if anything newsworthy happens you'll see it here. News this past week out of South Korea concerning counterfeit parts used in nuclear plants, and/or faked QA (quality assurance) certificates for parts shows that the suspected reach of such practices, and likely associated corporate corruption including bribery, has broadened out considerably. Here are the most recent developments with links to external sources; readers are strongly advised to click the links and examine the content in order to obtain the full impact of the story now unfolding. June 20: Widespread raids were conducted by warrant of the Busan Prosecutors' Office in the nuclear parts counterfeit / corruption investigation, broadening the focus of the investigation beyond just a small number of companies and people. See full details here. At the recent ANS 2013 Annual Meeting, it was learned by this author that there was no implication by this scandal with JS Cable that might have involved anything supplied to the UAE nuclear plants under construction. With Hyundai having been implicated in the most recent raids, one might wonder whether any UAE connection will have to be evaluated; certainly, this author will be watching the news for any such implications. In terms of affected South Korean plants, at least one plant shut down after it was discovered that it incorporated the suspect cables has restarted; see here. However, in an earlier June 23 article, the prosecutors revealed that the number of plants suspected to have non-compliant parts (or at least paperwork) has widened considerably to include 11 of South Korea's 23 reactor plants. It is not inconceivable that further shutdowns could be ordered, outside of (and ahead of) scheduled refueling outages. So, backing up from the details a bit, we can see that since at least mid-late June, the prosecutors have been finding evidence that greatly widens the scope of the scandal. Prior to this time, only control cabling from JS Cable was implicated, with no export implications and no serious implication of bribery. Now, a major industrial manufacturer which supplies pumps, transformers and EDG's has been implicated with raids and arrests made, which include bribery. The former president of KHNP has also been arrested in the same scandal. This is a completely unnecessary and frankly depressing and alarming set of developments. I've detailed on this site the very great rise of the South Korean nuclear industry, in a very detailed historical post. Apparently the opportunity to shortcut requirements and maximize personal gain was just too much for some persons in a situation where time was of the essence, and having parts in hand on time or early was much more important - apparently - than having GOOD parts in hand under legal contract with proper inspection and material history and paperwork. •Do we know for certain that any or all of the parts suspected in this scandal cannot actually perform the duties for which they are intended? No, we do not know that for certain yet. •Does a part or machine supplied under a contract that included bribes necessarily not meet safety requirements? No, absolutely not; parts under these conditions may meet all safety and inspection requirements, with the only concern being bribery in obtaining the contract to produce such parts or machines. 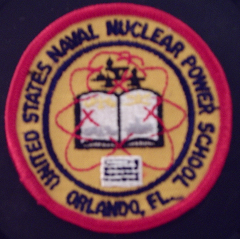 •Can anyone with any knowledge of nuclear energy simply approve of the idea of just signing off on the chance that all of the actually suspected parts are really all right? No, not a chance. The suspect parts will all have to be checked and replaced by certified parts if needed. There is no avoiding this eventuality. Worse, roughly 50% of the South Korean reactor plants are now implicated in the situation. Shutdown of just two a while back caused alarm over electric distribution grid stress, and fear of rolling blackout; what now, with eleven implicated? The most important thing for the South Korean government to do is to discover the full extent of the corruption and burn it out, wherever it is, as one might burn out a hill of fire ants. The next most important thing to do is for all of the nuclear plants to undertake every measure to inspect and, if required, replace all implicated parts and shift suppliers as necessary. Further beyond this, the South Korean government will absolutely have to institute some sort of further check on this (as it's already beginning to evaluate) in terms of regulatory oversight to ensure it's quite impossible in the future. None of these steps is avoidable; they should be pursued with rigor and unbending determination. Atomic Power Review will continue to monitor the English-language Korean news sources for updates and provide them as required. For more reading: See development of the South Korean nuclear industry on Atomic Power Review. Update -- 9:00 AM 7/15 Links denoted by ** have been added to provide more varied sourcing and different details. One new event has been added.